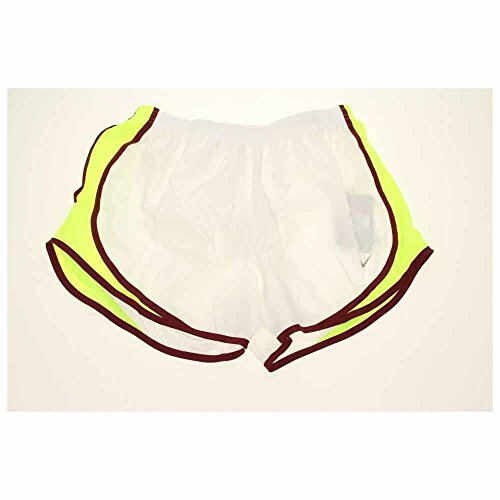 These Running Shorts are a lightweight training essential with vibrant style. With sweat-wicking fabric and mesh panels that ensure no distractions whether sprinting or running cross-country makes these 2-in-1 trainign shorts excellent for the keen lady athlete. Internal Key Pocket - Ideal for keys or small items. Mesh panels - At side-seams for breathability and comfort when running. 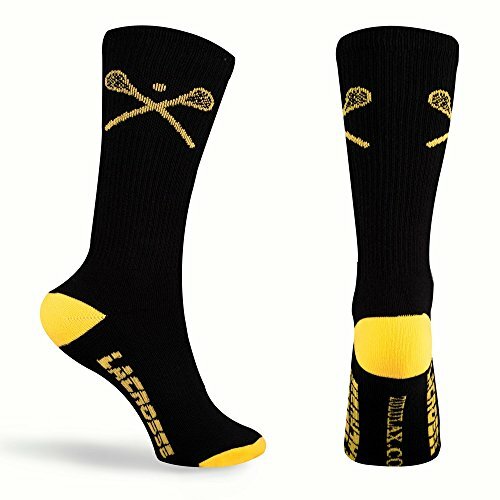 TCK Sports Elite Midline Lacrosse Logo Performance Crew Socks. High performance, moisture wicking, blister control, odor control, antimicrobial, athletic crew socks for all team sports and elite athletes. Fit goes by shoe size: Small fits Youth 12-5; Medium fits Mens 6-9 or Womens 7-10; Large fits Mens 9-12 or Womens 10-13; X-Large fits Mens 12-15 or Womens 13+. High quality fiber contents: 93% Nylon, 5% Elastic, 2% Lycra Spandex. 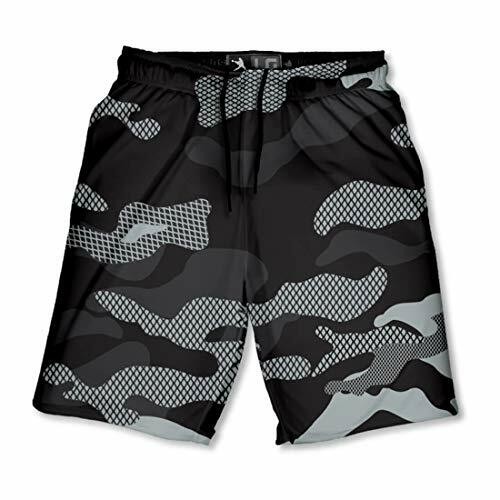 Nike Modern Equilibrium Tempo Shorts, designed for high level performance these shorts are a Lightweight fabric which helps keep you dry with its moisture wicking engineering. A 3" inseam features a curved hem for great range of motion with Mesh side insets to help ventilate and keep you cool in motion. 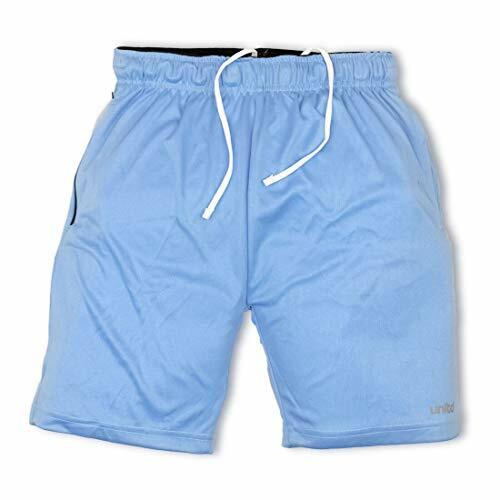 The shorts fit the body well with a draw cord Waistband that sits low on the hips for enhanced comfort and This is helped with an Integrated Gusset lining, that limit chafing giving optimal performance. Fitting closely to the legs the Streamlined design reduces material for a flattering fit and an All over pattern is embossed for color durability, making you stand out of the crowd. 3 Inseam Features A Curved Hem - For Great Range Of Motion. Our Lacrosse Style Series of socks not only look great but are super comfortable. 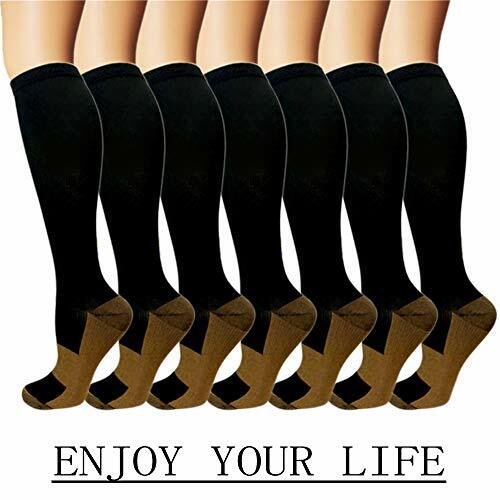 A great everyday sock and athletic sock. We design our socks with high tech function, comfort and style. Our Ultra Spun knit fabric is soft yet strong on performance and it dries measurably faster than cotton moving perspiration quickly away from the skin. Featuring crossed lacrosse sticks on both sides of the sock. A top sock design pick amongst lacrosse players! Made in USA. 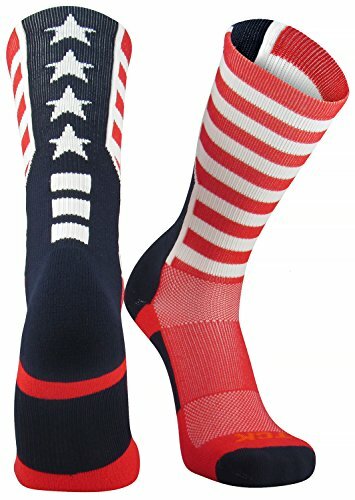 TCK Sports USA American Flag Stars and Stripes Crew Socks. High performance, moisture wicking, blister control, odor control, antimicrobial, ergonomic cushion, athletic crew socks for all team sports and elite athletes. Fit goes by shoe size: Small fits Youth 12-5; Medium fits Mens 6-9 or Womens 7-10; Large fits Mens 9-12 or Womens 10-13; X-Large fits Mens 12-15 or Womens 13+. High quality fiber contents: 77% Polypropylene, 17% Nylon, 3% Elastic, 3% Lycra Spandex. 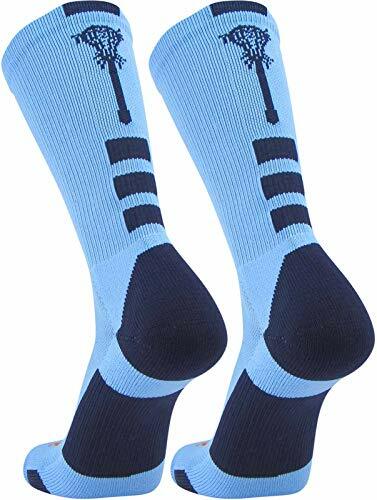 MadSportsStuff Lacrosse Victory Socks with Lacrosse Sticks Athletic Crew Socks. High performance athletic socks for all team sports and elite athletes. Shoe Size: Small - Youth 12-5 Womens 4-7, Medium - Womens 7-10 Mens 6-9, Large - Womens 10-13 Mens 9-12, X-Large Womens 13+ Mens 12+. For boys or girls, great for teams and gifts! 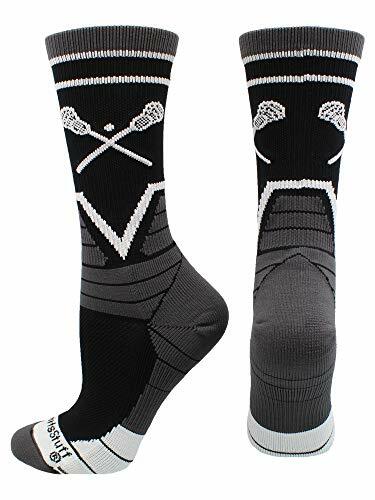 PERFECT LACROSSE SOCKS: Add of a touch of cool to the season with this sporty lacrosse sock. This sock is a crew length (hits mid-calf) and comes in many team color combinations. Sure to be a hit with your favorite Lacrosse player! Lax Girls LOVE our socks! Super comfy and fashionable socks. We design our socks with high tech function, comfort and style. Our poly/nylon moiture wicking blend is soft yet strong on performance and it dries measurably faster than cotton moving perspiration quickly away from the skin. 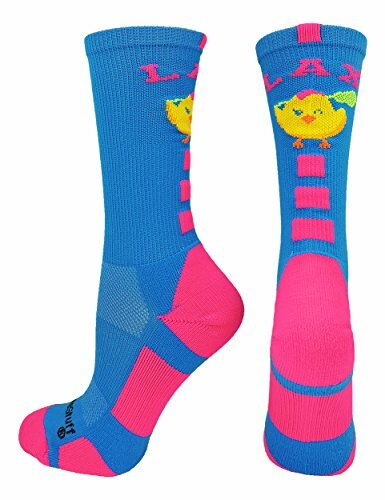 MadSportsStuff LAX Chick Lacrosse Athletic Crew Socks. High performance athletic socks for elite athletes. Shoe Size: Small - Youth 12-5 Womens 4-7, Medium - Womens 7-10 Mens 6-9, Large - Womens 10-13 Mens 9-12, X-Large Womens 13+ Mens 12+. 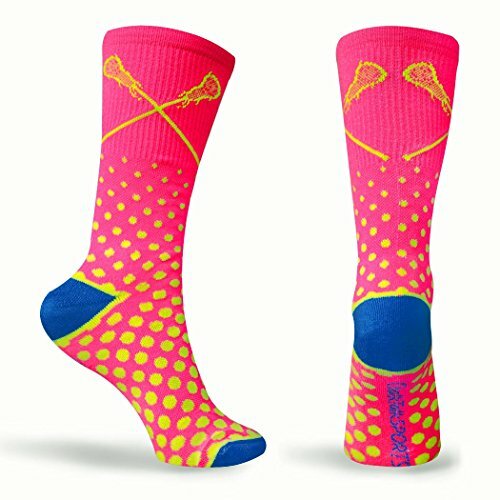 PERFECT LACROSSE SOCKS: Add of a touch of fun to the season with these colorful lacrosse socks. This sock is a crew length (hits mid-calf). Sure to be a hit with your favorite Lacrosse player! 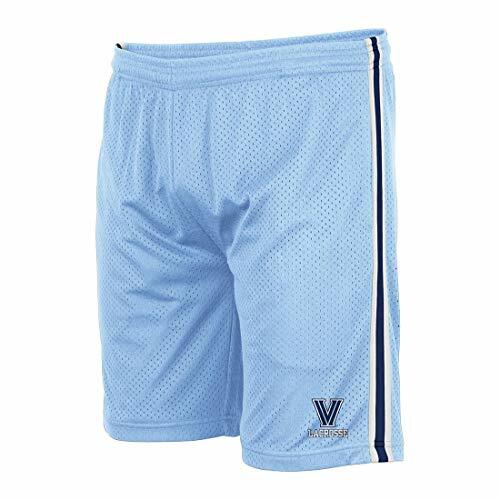 Lightweight and breathable, Boys' Nike Pro Tights bring the cooling power of Nike Pro fabric and mesh fabric in a durable design that's as tough as you are on game day. Nike Pro fabric provides a sweat-wicking base layer to help you feel cool. Updated flat-seam placement allows range of motion. 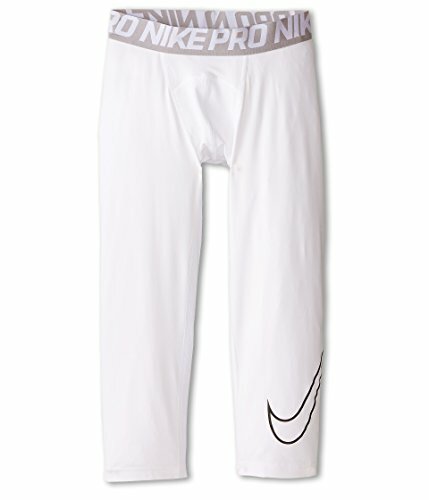 Elastic waistband with repeat NIKE PRO jacquard trademark provides a snug, personalized fit. Compressive fit is ideal for layering and helps reduce distraction. 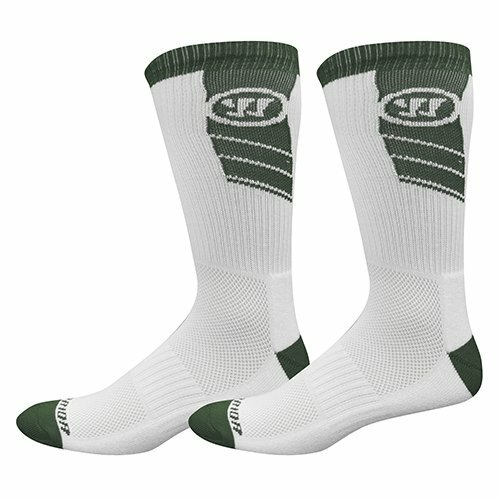 Using WarTech Quick Wick Polyester, this sock keeps your feet dry from practice to the playoffs. The anti-microbial finish helps to prevent odor and the engineered arch support aids in the reduction of foot fatigue. A flat toe seam and a cushioned foot bed provide ultimate comfort and the mesh panels on the top of the foot add breathability. 4 pairs per package. 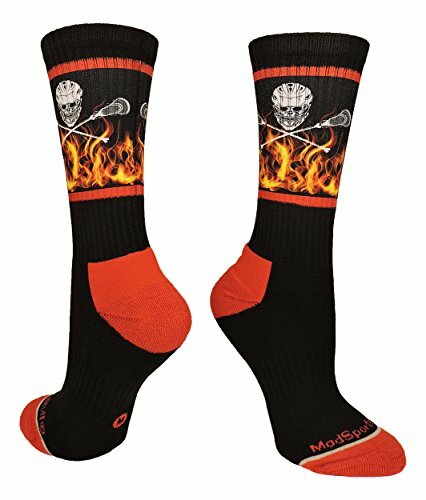 MadSportsStuff Flaming Skulls Lacrosse Sticks Athletic Crew Socks. High performance athletic socks for all team sports and elite athletes. Shoe Size: Small - Youth 12-5 Womens 4-7, Medium - Womens 7-10 Mens 6-9, Large - Womens 10-13 Mens 9-12, X-Large Womens 13+ Mens 12+. PERFECT LACROSSE SOCKS: Stand out on the field in these super cool Flaming Skull socks. This sock is crew length (hits mid-calf) and is a sublimated print. Sure to be a hit with your favorite Lacrosse player! Lacrosse Unlimited brings back an old school design with a new school feel. 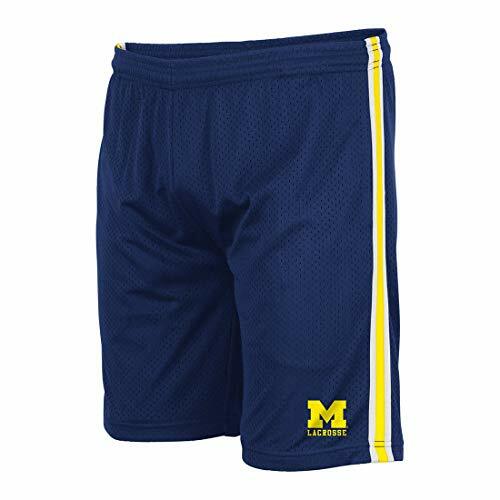 These college lacrosse shorts feature a classic LU mesh design with the comfort and durability for both on and off the field. All Lacrosse Unlimited's college lacrosse shorts feature side pockets and an athletic more stylish cut. These excLUsive Basic Lacrosse Shorts are only available from Lacrosse Unlimited and are a perfect buy for a stylish look both on and off the field. 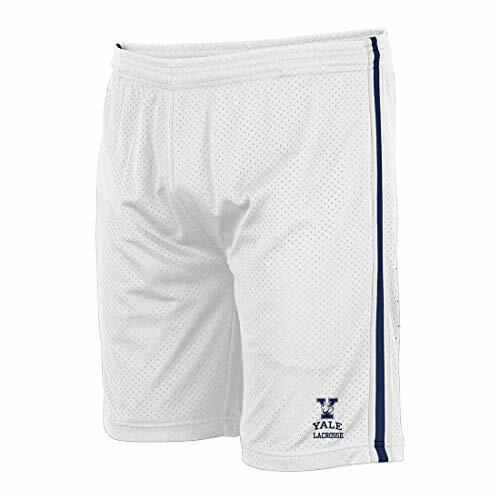 Featuring an athletic cut these lacrosse shorts are both durable and comfortable. These lacrosse shorts are built with and elastic waist with adjustable draw strings and deep side pockets. Available in youth and adult sizes.